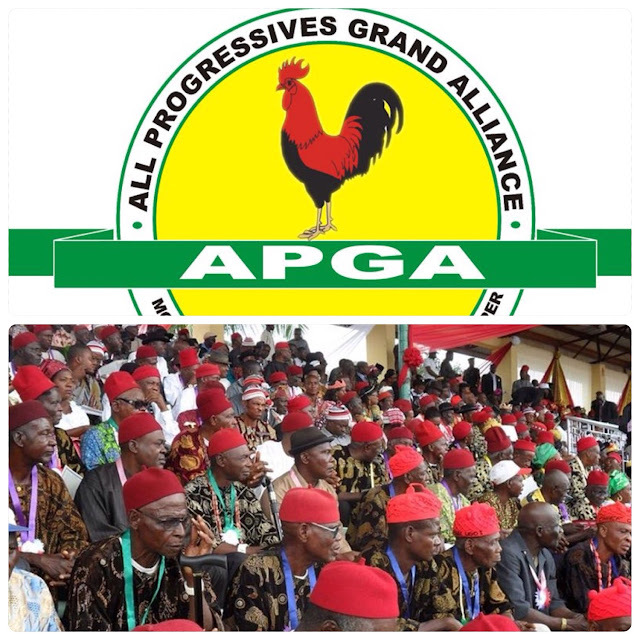 Just as the defunct National Council of Nigerian Citizens, NCNC and Nigerian Peoples Party, NPP of the First and Second Republics, the All Progressives Grand Alliance, APGA has undoubtedly made the Igbo nation relevant in this Fourth Republic. Despite its challenges APGA has evidently given Ndigbo an identity in the prevailing political firmament of the country. Notwithstanding that it is generally seen as a regional party, the truth remains that it major rivals, the All Progressives Congress, APC and Peoples Democratic Party, PDP are respectively controlled by certain regional groups pretending to be national in outlook. Historians know that the APC is presently dominated and puppeteered by the Hausa-Fulani oligarchy in spite of the pretences of Ashiwaju Ahmed Bola Tinubu as the National leader of the party. For its part, PDP is largely owned and controlled by ex-military generals and their proxies. Apart from former President Olusegun Obasanjo (recruited by them), the former top military owners of the PDP largely come from Northern Nigeria. The real sponsors of the PDP and APC merely formed an alliance with the Yoruba intelligentsia of the Southwest and other minority ethnic groups in Nigeria in order to subjugate and marginalise the Igbo of the Southeast who were the arrowheads of the defunct Republic of Biafra. Be that as it may, the gang up against the Igbo nation is growing weak because many of the co-conspirators have fortuitously began to feel the pangs of marginalisation from their partners. This explains why many of them have joined Ndigbo in the quest for Restructuring of the Nigerian Federation. It was in a bid to mitigate the subjugation of Ndigbo, that the first President of Nigeria, late Dr. Nnamdi Azikiwe was compelled to join and take control of the defunct NPP in the Second Republic when it dawned on him that the leaders of the rested Northern Peoples Congress, NPC and Action Group, AG of Western Nigeria had regrouped and turned Igbo land into a poaching field for inexperienced and lily levered politicians. With the NPP Ndigbo relaunched themselves forcefully into Nigeria's political affairs in the Second Republic. With Zik's party, Ndigbo were able to negotiate an alliance which resulted in the formation of a mutually beneficial coalition government with the National Party of Nigeria, NPN. Perhaps if not for the overthrow of the Second Republic by the military in December 1983, a former Vice President of Nigeria, late Dr. Alex Ekwueme, an Igbo man would have succeeded former President Shehu Shagari in 1987. Some political pundits believe that one of the reasons behind the 1983 coup d'etat was to nip the presidency of an Igbo person in 1987 in the bud. From 1983 till date the grand conspiracy to effectively keep Ndigbo away from the apex political office in the country has persisted. Only retired Commodore Ebitu Ukiwe, was allowed to briefly hold the office of the Chief of General Staff, an equivalent of the Vice President under retired General Ibrahim Babangida, who ruled Nigeria for eight years. Attempt by late Dr. Ekwueme in 1999 to lead the country in this Fourth Republic was cruelly frustrated by the powers that be in Nigeria. Indeed it was for this reason that some patriotic Igbo intelligentsia such as Chief Chekwas Okorie, late Dr. Chuba Okadigbo, late Chief Joseph Nwokolo (Pascan Jake), Chief Chris Okoye, Senator Victor Umeh among others converged and formed the All Progressives Grand Alliance, APGA in 2002 ahead of the 2003 general elections. Some of the founders of APGA were members of PDP who were unhappy with what happened to Dr. Ekwueme the 1999 Jos Convention as well as the initial unconscionable denial of the Senate Presidency to Dr. Okadigbo by former President Obasanjo. As a matter of fact, late Dim Chukwuemeka Odumegwu-Ojukwu joined the party for exactly the same reason Dr. Azikiwe joined NPP in 1978. Ojukwu flew the presidential flag of APGA in the 2003 general elections. In actual fact, the party swept the polls in the Southeast zone but was robbed by the PDP, the then ruling party in the country. Since then the PDP had ruthlessly used power of incumbency to perpetuate itself in most Igbo speaking states except Anambra, where by God's grace, APGA reclaimed and held fast to since 2006. Today, APC has replaced PDP as the country's ruling party and seem to be re-enacting the latter's shenanigans as far as elections are concerned. For over twelve years, governments enthroned by APGA in Anambra state have made Ndigbo proud because of their brilliant performances. They have consistently given good governance and delivered impressive democracy dividends. The party has in conjunction with the apex sociocultural organisation of the Igbo nation, the Ohaneze Ndigbo championed the cause for restructuring of the country. Early this year the APGA led government of Governor Willie Obiano in Anambra state hosted the first ever Summit for the Restructuring of the Nigerian Federation at the Dr. Alex Ekwueme Square, Awka. Against the background of the party's superlative performance in Anambra, many Igbos and other Nigerians have joined APGA in droves. 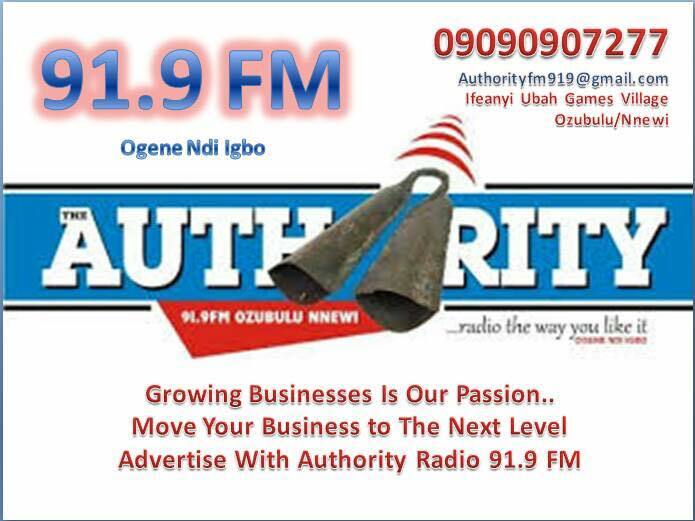 In spite of protests by some party faithful who are aggrieved by the results of its recent primaries, APGA is spreading like wild fire to other parts of the country. 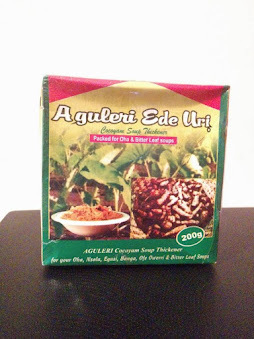 It is no longer sequestered in Anambra state. The party is poised to record resounding victories in Abia and Imo states in the forthcoming general elections. 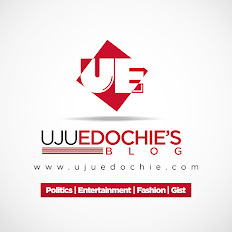 It is presently in control of the Gwagwalada Area Council in the Federal Capital Territory, Abuja. APGA is equally making waves in Benue, Nasarawa, Taraba, Zamfara and Baylesa states. With retired Major General John Gbor, from Benue state as the presidential standard bearer of APGA in the 2019 general polls, the party plans to re-enact the reconciliation, friendship and brotherhood between Ndigbo and the people of North Central Nigeria in the Second Republic when the NPP held sway in the old Plateau state and was also very strong in Benue state. The old Plateau state included the present Nasarawa state. The ongoing Fulani herdsmen menace in Benue, Plateau, Nasarawa and Taraba states has made their people to trust APGA, more than any other political party. This is because they believe that the party's position on restructuring of the country is honest and genuine.